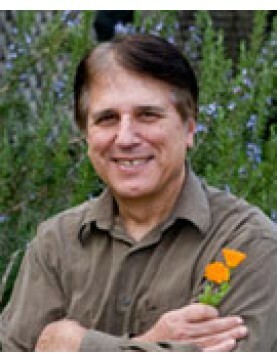 Michael Tierra has been practicing herbal medicine and acupuncture for over 40 years and is a founder of the American Herbalists Guild. His teachings and books, including The Way of Herbs, Planetary Herbology, Treating Cancer with Herbs and the East West Herb Course have influenced generations of herbalists. Speaker: Michael Tierra. Arthritic, digestive, emotional, respiratory and gynecological conditi..
Speaker: Michael Tierra. Shen corresponds to our psychological and spiritual being, and when it..
Speaker: Michael Tierra. The traditional Chinese diagnostic model offers herbal remedies to cle..
Speaker: Michael Tierra. Diagnostic methods are discussed for determining the underlying causes of c..
Speaker: Michael Tierra. Western, Chinese and Ayurvedic models of formulation are described. Us..
Speaker: Michael Tierra. The effect of kichari on a variety of chronic diseases is discussed.&n..
Speaker: Michael Tierra. Formulas for detoxification, treating cold and flu, back pain, cardiov..